If you didn’t manage to get your hands on a Selfridges Advent Calendar this year, dry your eyes and console yourselves with one of those horrible Poundland chocolate ones that bend in half when you blow on them. And once you’ve done that, come back here because I think I’ve found a digital one that will put a smile on your face. Jean Paul Gaultier is working some of his Eurotrash magic when it comes to Christmas this year, an alternative universe in which only the naughtiest of “children” will get the goodies! 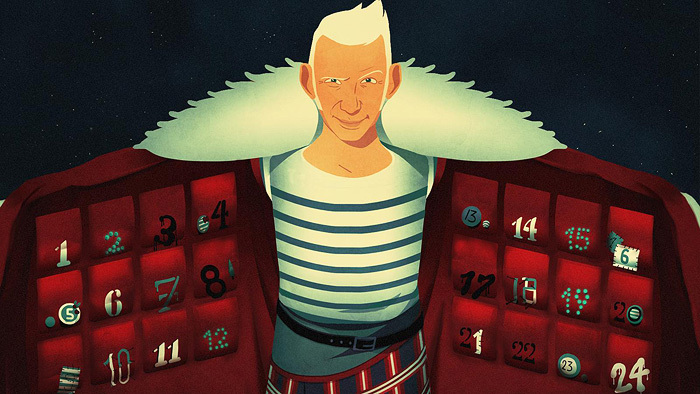 The mischievous designer’s website is hosting a different take on the traditional advent calendar, where each day, you may open ANY three doors pockets you wish in a bid to win some fabulous Gaultier gifts. There’s no following the rules here! From plucking chickens, to spritzing reindeers… from eating logs to shaking the living daylights out of a poor elf, it makes for a wonderful timewaster with some lovely animations that left a smile on my face. Play Jean Paul Gaultier’s Naughty Christmas Advent Calendar online at www.jeanpaulgaultier.com from now until the end of December. Give and Makeup - NOW is the time to donate!